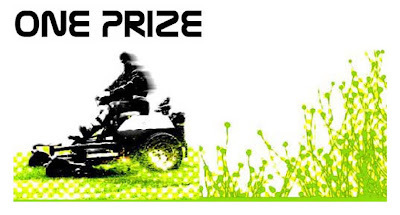 Terreform 1, the self-described "nonprofit organization for philanthropic architecture, urban + ecological design" is hosting a design competition entitled Mowing to Growing. According to the brief the competition operates in the context of "issues concerning the environment, global food production and the imperative to generate a sense of community in our urban and suburban neighborhoods." Entries from students and professionals across disciplines are welcomed, including architects, planners, artists and scientists. "From Mowing to Growing is not meant to transform each lawn into a garden, but to open us up to the possibilities of self-sustenance, organic growth, and perpetual change. In particular, we seek specific technical, urbanistic, and architectural strategies not simply for the food production required to feed the cities and suburbs, but the possibilities of diet, agriculture, and retrofitted facilities that could achieve that level within the constraints of the local climate." Registration is due by March 31 and submissions are due April 30. Entries will be judged by a multi-disciplinary team, including the landscape architect Margie Ruddick and urban theorist Margaret Crawford. For more details, visit http://www.oneprize.org/.